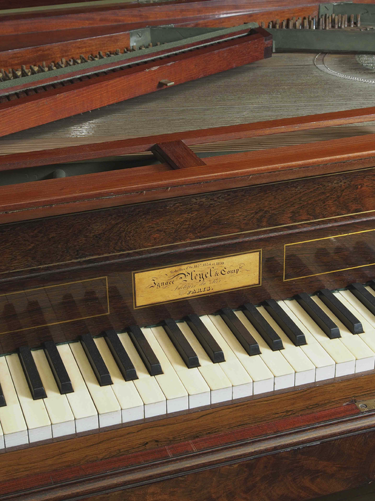 Square Piano by Ignace Pleyel 1843. Rudolph Nureyev Foundation in 1995.
trestle stand with two pedals: operating jeu céleste and dampers. The Ivory keyboard has a compass of 6½ octaves, CC-g4. state, has been carefully restored to playing condition.